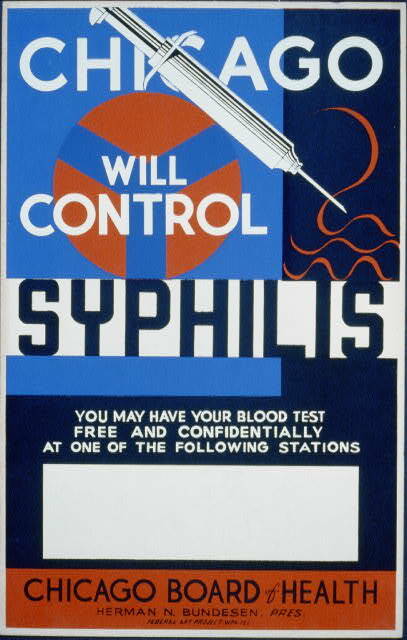 Title: Chicago will control syphilis You may have your blood test free and confidentially at one of the following stations : Chicago Board of Health, Herman N. Bundesen, Pres. Summary: Chicago Board of Health poster announcing blood tests, showing a hypodermic needle. 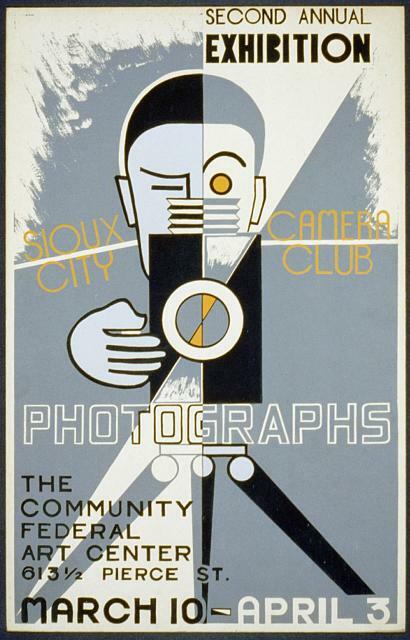 Summary: Poster for the Sioux City Camera Club's second annual exhibition of photographs at the Community Federal Art Center, Sioux City, Iowa, showing stylized man at a camera. Date stamped on verso: Mar 9 1939. Promotional goal: U.S. K92. 1939. Date Created/Published: [Ohio : Federal Art Project, 19]40. 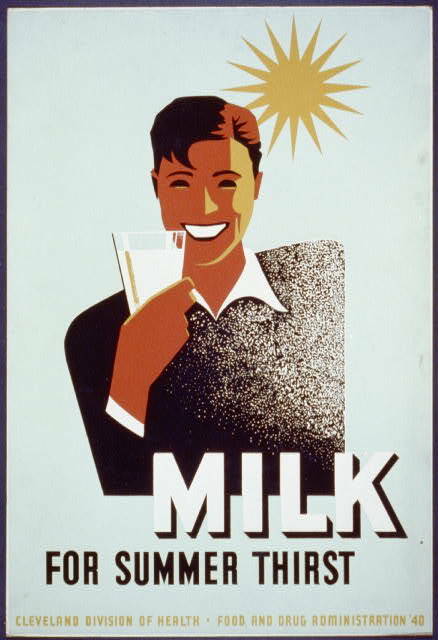 Summary: Poster for Cleveland Division of Health promoting milk, showing a young man holding a glass of milk with the sun shining in the background. 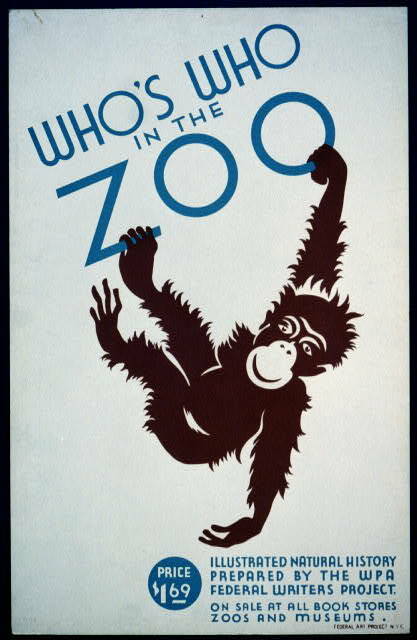 Date Created/Published: Ohio : Federal Art Project, 1937. 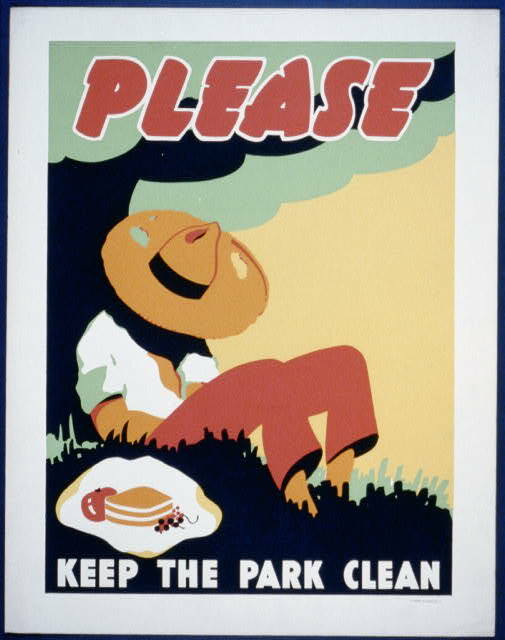 Summary: Poster encouraging visitors to parks to clean up after themselves, showing a man sleeping against a tree next to his picnic lunch. Date stamped on verso: Aug 19 1937. 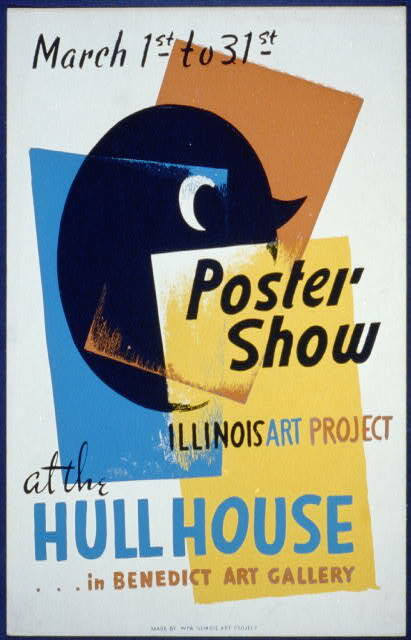 Poster design attributed to Samuel Brown and Morris Katz. 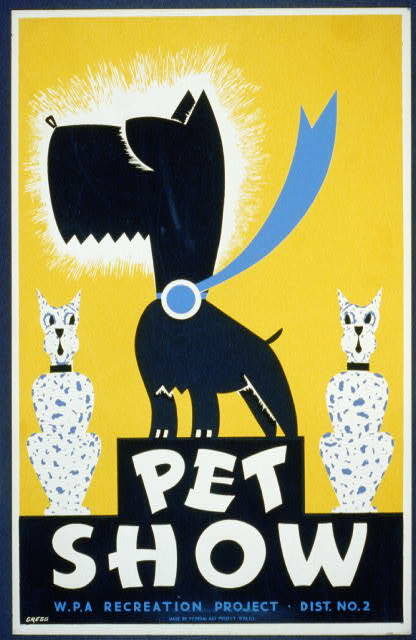 Date Created/Published: Ohio : WPA Art Program, 40. 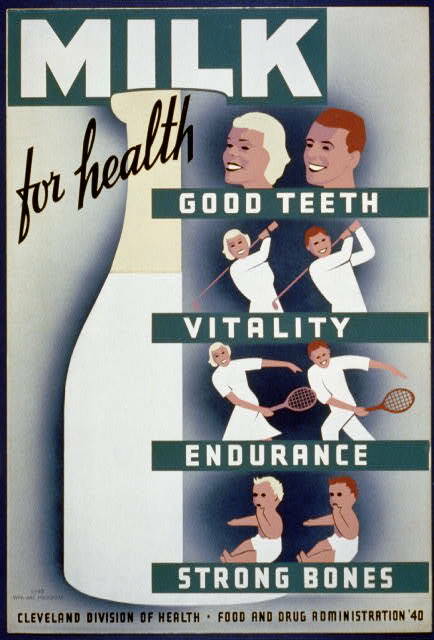 Summary: Poster for Cleveland Division of Health promoting milk, showing a large bottle of milk next to couples smiling, playing golf, tennis, and two babies. Date stamped on verso: Jul 20 1940. Title: Dept of Parks water carnival Music, dancing, singing. 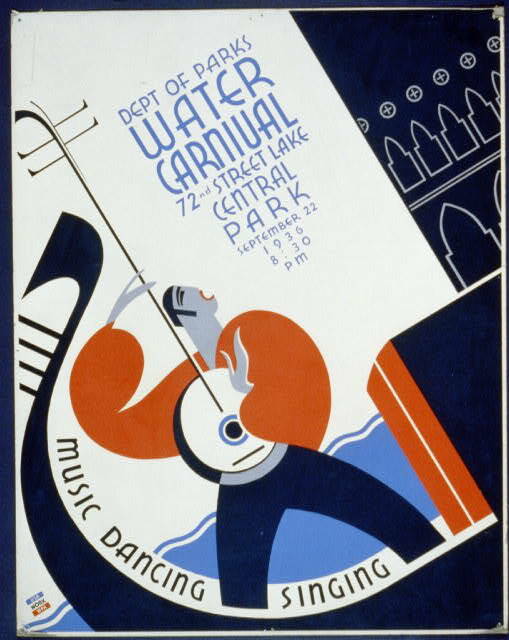 Summary: Poster announcing water carnival in Central Park, showing man standing in a gondola, playing stringed instrument, and singing. 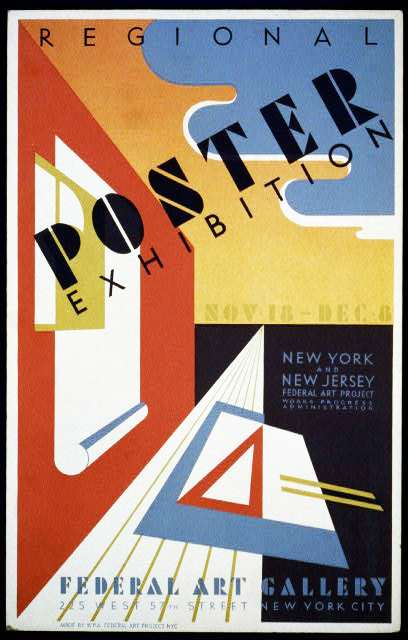 Summary: Poster for Federal Art Project exhibition of posters from New York and New Jersey at the Federal Art Gallery, 225 West 57th Street, New York City, showing abstract design. Date stamped on verso: Jun 28 1939. Title: WPA women painters, Federal Art Gallery, 50 Beacon St., Boston / RW(?) [monogram]. 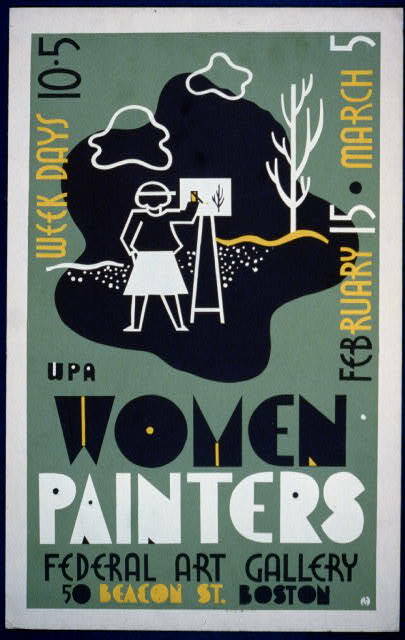 Summary: Poster for exhibition of WPA women painters at the Federal Art Gallery, 50 Beacon St., Boston, Mass., showing a woman painting outdoors. Date stamped on verso: Feb 23 1938. Attributed to Russell W. West. 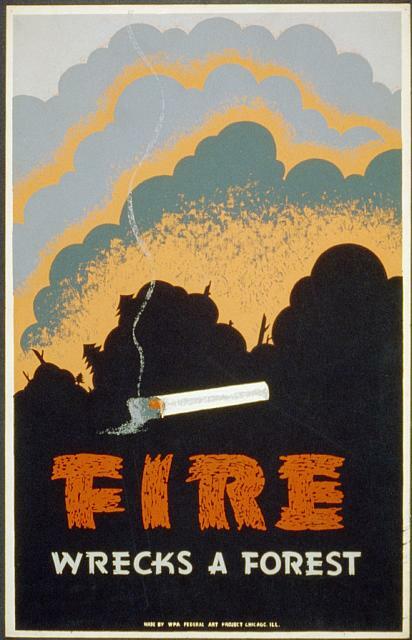 Summary: Poster for forest fire prevention showing a burning cigarette and a forest fire. Date stamped on verso: Jan 13 1939. 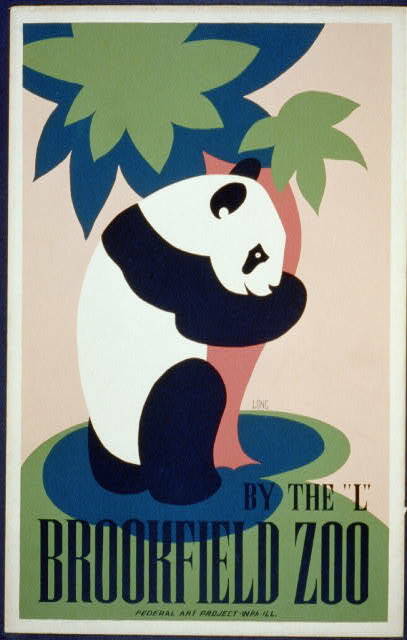 Posters of the WPA / Christopher DeNoon. 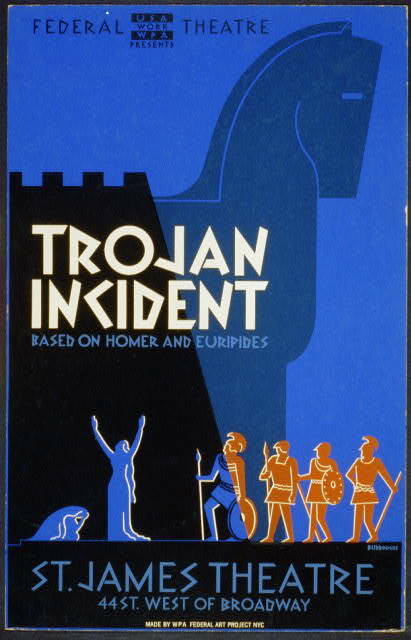 Los Angeles: Wheatly Press, c1987, no. 230. Title: See America Welcome to Montana / / M. Weitzman. 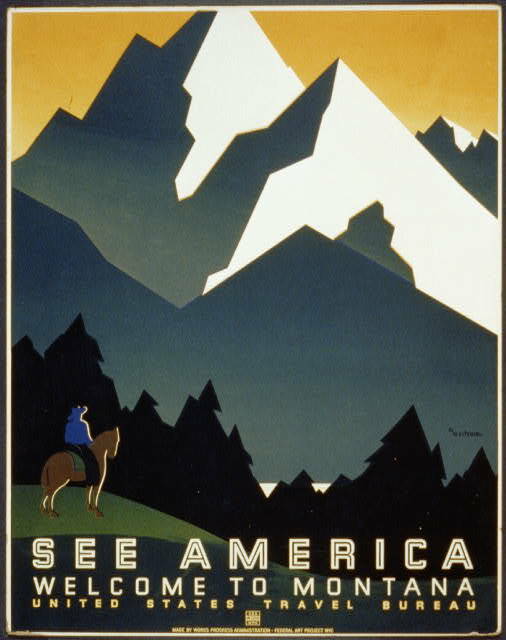 Summary: Poster for United States Travel Bureau promoting travel to Montana, showing mountain scene with horse and rider. Title: Discover Puerto Rico U.S.A. Where the Americas meet. 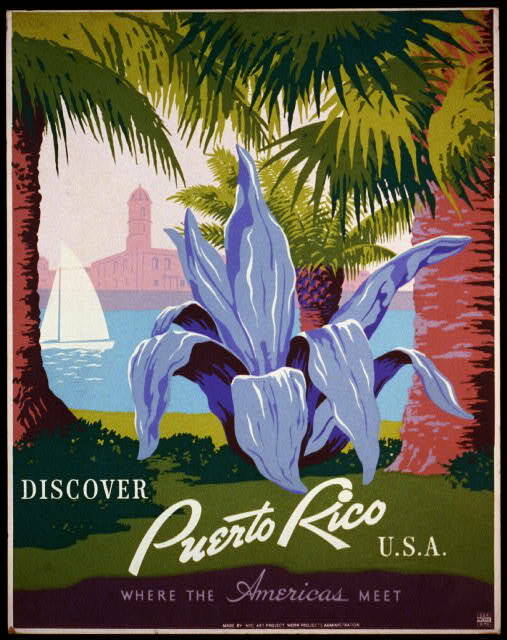 Summary: Poster promoting Puerto Rico for tourism, showing view of park with palm trees. Date stamped on verso: Jul 19 1940.